Psoriasis is often a misunderstood disease that is often ignored at the initial stages due to lack of information. Once it becomes severe, it has a negative impact on our life and our self-esteem. It is the skin condition that causes itchy, red, and scaly patches. Psoriasis often has a negative impact on our physical and psychological health. But there are plenty of success stories, helpful tips, home remedies for psoriasis and life advice that can help you deal with the disease. In 2019, these bloggers can help you fight the disease with their own experiences, helpful advice and tips, and success stories. Get the information about the remedies that can actually help you from a person who actually cured it after experimenting with different medicines for a decade. This is your no-nonsense to the point blog that not only provides information about effective remedies but also how to live with it. 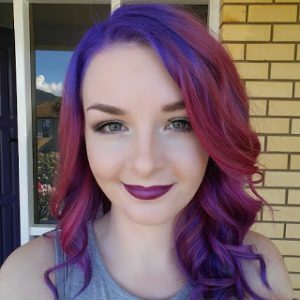 Another blog from a girl, Joni Kazantzis, who claimed that the diseases only made her stronger and more confident. How? For this, you have to subscribe to her blog. This is a life advice blog for the people who feel low due to the disease. It is a reminder that everything is not lost, and how you can turn things around in your life in 2019. If you want to learn about your skin, and the disease, this is the blog for you. 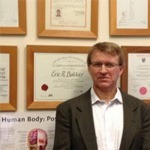 Owned by Simon Jury, the blog is focused to raise awareness about our skin and psoriasis. It guides people how to take control of your life and your skin, and what are the best treatments to manage your skin condition. 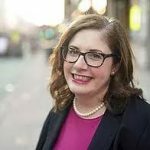 The blog is owned by Julie Cerrone, who was diagnosed with Psoriatic arthritis 5 years ago but learned to look at the bright side. She went through knee surgery and once suffered from depression and anxiety, but now she offers practical advice how not to let psoriasis control your life. This is a perfect blog for people suffering from mental health issues due to psoriasis. The blog by Alisha initially focused on her experience with psoriasis but later evolved into one of the best sources of advice on Psoriasis and practical tips. The blog is managed by Sarah, who was diagnosed with Psoriasis when she was only 5 years old. 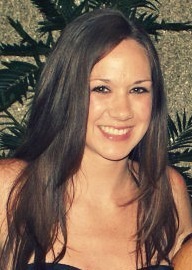 Now she shares on our blog what she learned about the skin, the condition, the treatments, and living with Psoriasis. And all that with a touch of humor. If you want to learn about how to live with severe psoriasis, learn from someone who is living with the skin condition for last 4 decades. The blog focuses on guiding readers how to live a happy, satisfying, and thriving life with psoriasis. This one is by a Doctor, who claims that with his advice and treatment, you can actually beat the disease. It is a very well managed blog with a lot of useful information about psoriasis. New Life Outlook is one of the most informative blogs out there. You can read in-depth articles that focus on awareness, treatments, lifestyle, coping methods, and mental health. The blog is owned by Lori-Ann who provides tips and lifestyle advice based on her personal experience with the skin condition. It is a practical guide how to live a thriving city life with psoriasis. If you trust information about Psoriasis from the credible sources than the personal experiences, this is the blog for you to follow in 2019. Get the best advice and treatment information from the qualified doctors here. The blog focuses on managing and controlling psoriasis through smart psoriasis diet. You can find meal plans, case studies, ebooks, and a lot more, all focused on psoriasis diet. Another blog from someone who treated his psoriasis with natural remedies. Now, he guides his readers how to use natural remedies to cure psoriasis. The blog focuses on success stories of different people who controlled psoriasis. A great way to find and connect with psoriasis community. The blog focuses on style, fashion, and psoriasis. The blog is owned by a fashion enthusiast who is suffering from the skin condition for last 20 years. This is a credible source of information, treatments, and effective ways to control psoriasis flares by the Psoriasis Association of Victoria, Inc. This UK based informational website provides in-depth information about all skin conditions that include psoriasis, eczema, acne, dry skin, and similar conditions. It is an online forum that helps you connect with other people suffering from the same skin condition. It is a great place to read about personal success stories. 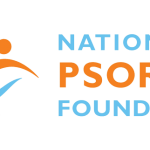 This is one of the most active blogs on psoriasis with daily informational posts about the skin condition. It provides guidance about the treatments, skin condition, and tips and advice about living with psoriasis. As the name reflects, “Her Skin and Bones – A Life with Psoriasis” is a blog hat focuses on living a satisfied and happy life with psoriasis. The blog is owned by Joy, who is suffering from Psoriasis for last 26 years. The mother of one reflects on how she makes the most out of her life without letting her condition affecting her lifestyle in any way. 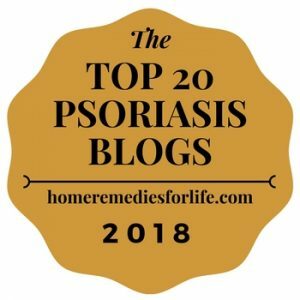 Psoriasis can affect your physical and psychological health, but if you have right sources of information even with ingredients such as honey and turmeric right in your kitchen, and access to some of the best motivational blogs on the internet, you can turn 2019 into much happy and healthier year. We have been searching for some psoriasis bloggers so this article was perfect. Thanks.